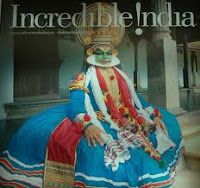 Development Horizons by Lawrence Haddad: "Incredible!ndia"? I’ve just returned from a week in “Incredible!ndia” (the tourist strapline) as part of my on-going engagement with the malnutrition debate there. There are some glimmers of hope. The state of Karnataka has just adopted a Nutrition Mission (an administrative mechanism to facilitate cross-sector working in a less bureaucratic way), there is some unconfirmed indications that undernutrition rates are going down in one of the worst affected states, Madh ya Pradesh. DFID in India is increasingly being seen as a catalyst for nutrition work. But there are worrying signs too. It is at least 18 months since the creation of the Prime Minister’s Nutrition Council. It has not met once. This week the media was occupied with the food grains which are rotting in storage facilities amidst widespread hunger and malnutrition. I went to the state of Bihar, one of the poorest, and visited a couple of early child development centres. There are about 800,000 of these centres throughout India. They represent the frontline in the effort against undernutrition. The Anganwadi workers in charge of the centres were inspirational in their attempts to make a fist out of the hand they have been dealt. But the conditions in which they have to teach and feed 40-50 3-6 year olds, do home visits, and monitor child growth are testing and often counterproductive. The centres are understaffed. Many are without toilets, washing facilities, clean drinking water, decent floors or food storage facilities. It is a miracle that the centres have any positive effect on nutrition status. I visited several such centres in the mid 1990s. Nothing much seems to have changed. This stasis is all the more dramatic in the context of the completion of one of the world’s largest airports in Delhi, the hosting of the Commonwealth Games and space programmes. To be fair, the Indian Government needs help to combat malnutrition. It is such a huge burden (43% of children are malnourished) that they cannot do it alone. Civil society, business, and the academic community have to help. International donors such as DFID also have an important catalytic role to play. But nutrition is a public good. Leadership has to come from the Indian Government. We still do not know who in Delhi has nutrition as their number 1 priority. And that is incredible. Since when was nutrition a public good? Not by the conventional definition. India is beginning to almost prove the hunch that the developmnet model that is being followed here is not going to yield results. There has to be a radical shift towards a new development regime that is far more rights based than has ever been considered anywhere in the world. How this will be done is the BIG question that donors also need to consider. each time india has had legislation based on entitlemnets, there has been some incremental difference to people's lives. Else, none.